The Cadet and Junior Commonwealth Fencing Championships took place in Newcastle between 23rd and 30th July 2018. Northern Ireland had fencers competing in all weapons throughout this competition at both Cadet and Junior level. In particular we would like to highlight the exceptional achievement of Beth Taylor who earned Bronze in Junior Women’s sabre, defeating the number one seed in her L16 bout, and earning a decisive victory in her L8. We are very grateful to all fencers for representing Northern Ireland at such a prestigious event, and immensely proud of your achievements. We hope that you all have gained valuable experience that you can take forward as you continue to develop your skills in this sport. 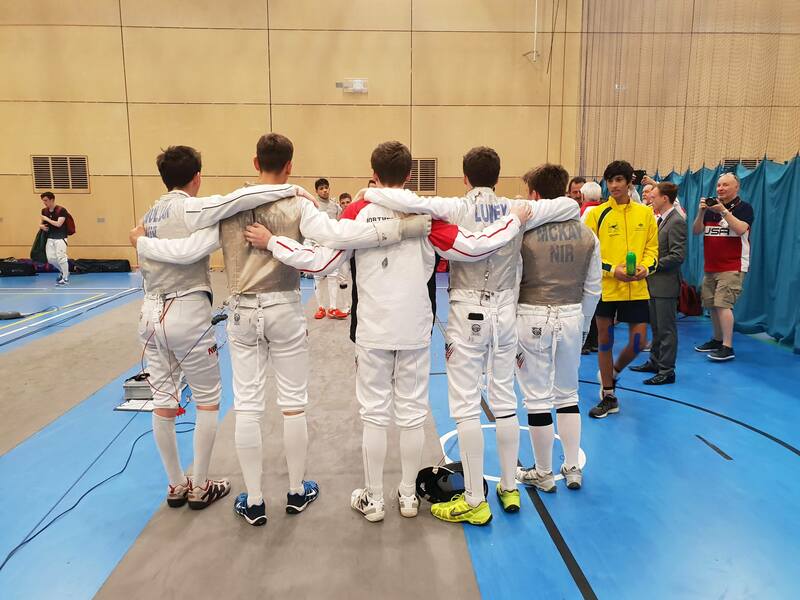 NI Fencing would like to extend gratitude to the team staff for accompanying and organisation with the fencers – team manager Maitre Mike Westgate, assistant team manager Ásdís Lindal, and assistant coach Dr Gerard Madden. We would also like to thank all family members and friends for their support. With the Cadet and Junior Commonwealth Fencing Championships now completed, we wish the best of luck to our fencers representing Northern Ireland at the Senior Commonwealth Championships which will take place in Canberra, Australia later this year.